Now that summer is officially upon us the hunt for great things to do to fill all this time is also here. We love to swim and to hike but a real treat is getting to spend time at one or more of the various water parks throughout the world. As we have traveled around we have been fortunate enough to get to experience water parks in places like Hawaii, Singapore, and Malaysia. They are always great fun but we do find some to be better than others. We did the legwork in helping to discover some of the water parks that we enjoyed most over the years. Warning: You may have to travel to some amazing exotic locations to enjoy them. We lived in Hawaii for 3 years and enjoyed Oahu for 8 months of that time. You may think in Hawaii the beaches are plenty to keep you busy in the water but when a wet and wild opens up you've just got to check it out. The park is located in Kapolei on the West side of the island. It is loaded with fun slides, cabanas to rent and relax in, kiddie pools, a wave pool, and so much more. We went with a bunch of kids varying in ages from 4-18 and everyone had a great time. If you live in the area there are season passes that make it a great deal and opens you up to being able to visit often. We went about 8 times during our 8 months there and definitely got great use out of the passes. The beaches in Hawaii are amazing and we spent most of our water time there but for a change of pace and some adventure filled slides Wet N Wild Oahu is a great stop! What a treasure of a find this water park was. Malaysia is inherently hot and finding a good water source while visiting is imperative in our opinion, especially when traveling with children. In all of our time in Malaysia I think Lost World was probably the best option for water fun that we found. It is far more than just a water park. There is also a hot springs area complete with a state of the art spa, a small amusement park, an adventure park, small animal reserve with petting zoo, tiger area where you can watch daily feedings, and a tin valley where you learn and observe all about tin mining. Lost World near Ipoh, Malaysia is a teat for the whole family. It is open late into the night and even has a hotel attached making your stay easy. My boys enjoyed every aspect of the park and I am sure yours will as well. The best part was how full of activities it was but at the same time it had a small feel so you didn't get overwhelmed with it all as I usually do at the large amusement park type places. A little bit closer to home for many of you is a cute little water park called Wild Waves. There is an attached amusement park, Enchanted Village, but we'll skip that part for another article. Fun that they have both in the same spot though. Located just outside Seattle it could make a really fun weekend getaway. 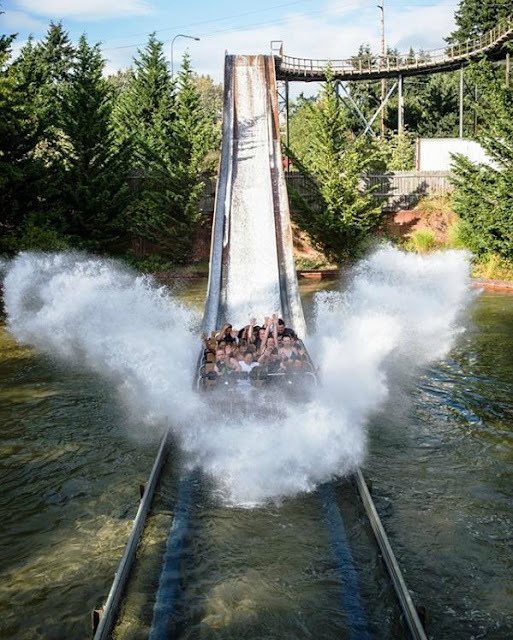 We recently took a trip out to Wild Waves and had a blast. Now keep in mind it is a bit chilly so I would first and foremost recommend waiting until the end of summer and definitely on a nice sunny day. The water was chilly...BRRR! The park is really manageable which is something I enjoy, just makes for a more relaxing day. The park has something for everyone from thrill rides like the Riptide or Raging river to the mild ride good for any age like the lazy river and Hooks Lagoon. There is plenty to explore, nice bathrooms and changing rooms, and plenty of spots to have a picnic lunch. We spent the entire day there hitting up our favorite rides multiple times. If you are in the area I highly suggest it but again wait until its a lovely warm day! So there you have it, 3 of the best water parks you may not have ever heard of. What has been your favorite water park? Tell us about it in the comments below! Created in collaboration with Dealchecker.